Well last week’s post certainly prompted some debate. In the post, I ‘confessed’ to not having ridden my bike for 81 days (i.e. the best part of three months). My self-prescribed medicine was to commit to riding for at least 20 minutes on each of the days in June*. I requested that readers use the comments section of the post to indicate that they would be watching my progress, the idea being that this would then make me accountable to those readers for seeing the challenge through to its conclusion. This worked, with many of you piling in to throw abuse, encouragement and questions (the most sensible of you pointing out the potential folly of going from zero to everyday cycling overnight). Whilst I was certainly touched (in the appropriate way) by those urging me not to beat myself up for having fallen off the saddle (so to speak), I should probably clarify that the 30 Day Challenge is not meant to serve as a penance. Nor is it a punishment for failing to spin the cogs on a regular basis. My cycling soul does not need cleansing. What Is The Point Of This ‘Challenge’? 5. 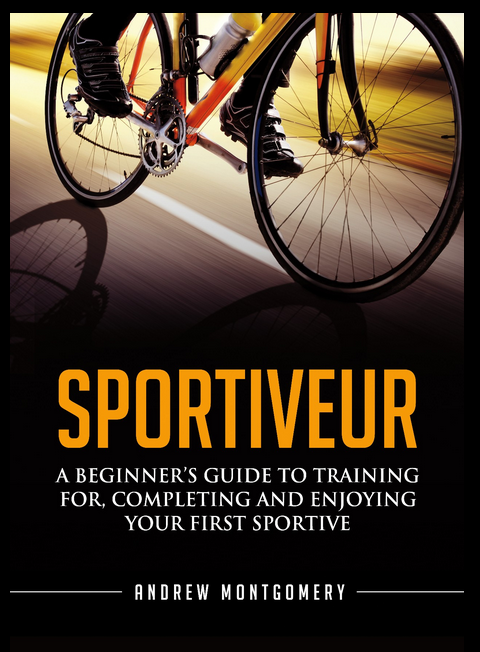 Build a base level of cycle fitness on which I can develop a more structured, and therefore more effective, training programme (maybe next month’s experiment?). I deliberately set the minimum ride length quite short, at 20 minutes, so that if I really do struggle at some point, I can simply sit and spin a very easy gear on the turbo trainer for the allotted time. With that all said, perhaps you’re wondering how I am getting on with the challenge. Oh, you’re not? Well I’m going to tell you anyway. To be ’onest. Wot ’appened is this. It was my birthday last Saturday. And my sister’s wedding day. Near York (the old one). All of which combined to present perfect conditions for a bike ride. I had a brace of birthday-based brownie points from mi esposa. The vale of York is flat. It was warm and almost sunny (ok, cloudy). I had my bike and all my kit at the hotel, ready for day 1 of the challenge. And I’m afraid, dear reader, that I went ahead and had a ride anyway, thereby essentially negating the whole point of the challenge. So sue me. Ok Fine, But How Are You REALLY Getting On (i.e. With The Challenge)? Yes. Good, thanks. Oh right, you’d like a little more colour. Well, I’ve ridden every day in June so far. If we call Saturday’s birthday/wedding ride the prologue, Stage 1 of the challenge (Sunday) was a pleasant spin from the hotel to the barn (scene of the wedding celebrations) in order to help clear up (I provided an insubstantial level of help). Day 2 was a sedate family ride up the Tissington trail from Ashbourne to Tissington and back, with my son alternating between solo riding and attaching to my bike with this fine contraption and my daughter in a seat attached to my wife’s bike. At 1hr 30m of riding, the trip certainly met the minimum time requirement, even if the distance covered (some 17km) was, er … low. Days 3, 4 and 5 (and yes 6 as well) have all been completed on the turbo trainer. In some ways, these are the sessions I’ve been most pleased about, since they’ve been fitted into time slots on otherwise normal, busy days. These are the rides that have been given the extra fillip through the knowledge that I have readers breathing down my neck, expecting to see the next ride posted on Strava. In some (many?) ways, publishing my ride statistics for the challenge is unnecessary. The only measure of ‘success’ is whether I hit the daily ride target. Still, I find the gentle accrual of statistics satisfying and motivating. I enjoy the act of adding them up, running regression analysis and then projecting into the future with a series of Monte Carlo simulations. Not all of which is true. 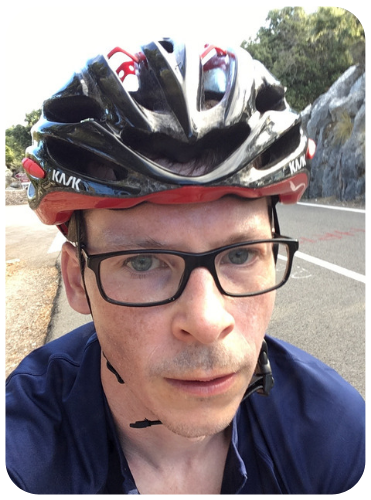 If you want an individual ride breakdown (and I assume you don’t), you can follow me on Strava and have a look. Tomorrow (Saturday) could be either torrential rain, thunderstorms or dry (maybe we’ve reverted to 1944-style weather forecasts in honour of the D-day anniversary). I’ve ‘volunteered’ to man a stall at my son’s school fete. Hopefully I’ll get a ride outdoors. Sunday looks better weather-wise but, with my dad coming down again, is slated for doing more renovation work on our house. I’ll be aiming to get early to do a meaningful ride outside. Perhaps I’ll venture into the Peak District national park and reacquaint myself with a few of my sloping sparring partners. I wanted to say a big thank you to everyone that left a comment on my last post; to those that have followed me on Strava; to those that have left comments on posted rides or have donated ‘kudos’. Good luck to all those that are following along with their own challenges, or are continuing to implement more focused (or unfocused) training regimes. To paraphrase the words of reader Andrew (great name) in his comment last week, courage, mes braves! Oi! York is my patch ( live in’t North Newbald)… Shame, could have pointed you at some nice rides. And pubs. And decent beer. Oh, forgot, you Southerners like the stuff served flat…. Anyway, hope you like our scenery and do make a point of doing the Coast to Coast sometime. Stunning. Hi Kev, the wedding was near Pocklington, so very close to you. We ride all round there, the rising Yorkshire Wolds behind Pocklington are superb cycling country, with quiet roads (or ” Rurds” as we say round these ‘ere parts) and Pock itself is handy for grub and even malted Alcoholic drinks. The Coast to Coast runs just above, via Driffield. If you fancy a decent challenge ride up Nunburnholme Hill, or for an even bigger one ride down it…! Well done for getting started, and hitting the target so far! I’ve made a start on getting my trusty (rusty?) steed prepared for my own challenge, ie I’ve found and refitted the saddle – no I don’t know why I took it off, that was years ago – and converted the chain from a rigid lump of metal to something that could almost be described as flexible. Next step – ride it! And all this massive flurry of bicycle-based activity is inspired by you. Hope you’re proud of that. A blog on dealing with saddle sores would be useful sometime in the next two-three weeks….. Thanks Mike. That’s great news. I am indeed proud whenever I hear that I’ve encouraged someone to get (back) on their bike and ride. It’s a win-win-win-(win) for everyone – you, me, the nhs, society. Keep it up (as I will too). Well done, accountabilty is a great incentive. Since returning back to the bike after many years away, accountabilty has really kept me in track, and yes I did start to drift , however once I realised this I upped the anti so to speak. A genuine question on June 30th what is your next target ? (I may have forgotten if you mentioned it before).